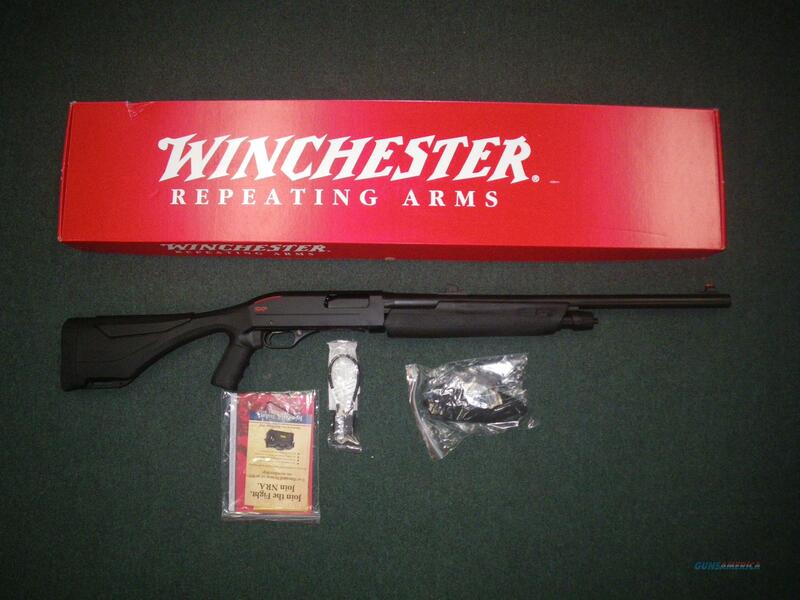 Description: You are bidding on a Winchester SXP Extreme Deer in 12ga with a 22" Barrel and 3" Chamber. It's all deer. It starts with the incredibly fast pumping rotary bolt action and then adds deer-specific features, like a rifled barrel for accuracy with sabots and conventional slugs. We are talking a high level of accuracy today, now that the technology for ammunition is at its all-time high. The pistol grip stock gives you a solid secure feel for sure, but it is bringing it to shoulder after being at rest where it really shines. Comfortable and fast. Two user-interchangeable combs and height adjust spacers let you tune comb height on your SXP® Extreme Deer for perfect eye-to-sight alignment with your choice of sighting systems. Displayed images are stock photos. Any questions please feel free to ask (our phone number is in the additional information tab above).